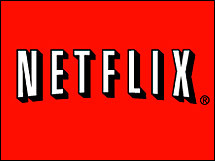 Beginning this month, Netflix will be adding high-def content to their Watch Now streaming video service. This will be a free service to existing subscribers. There are a few caveats to this service of course. The first being it is only through Netflix compatible set-top players like the LG Electronics and Samsung Electronics Profile 2.0 Blu-ray Disc players, the Microsoft Xbox 360, and the Netflix box by Roku. A firmware upgrade is required. Additionally, the video is 720p resolution but with various bandwidth depending on your internet connection, so quality may vary. The audio is standard stereo audio only, no surround sound at all. To begin with there will only be approximately 300 titles available. Most of the initial titles are TV programs and documentaries. Television series include Heroes, 30 Rock, The Office, CSI: New York, and CSI: Miami. Movies available are The Thing, Four Months, Three Weeks and Two Days, Colour Me Kubrick, Saint of 9/11, and Running with Arnold. It could be that independent films are easier to license, but I’m glad Netflix hasn’t lost their roots in their focus of indie fair.